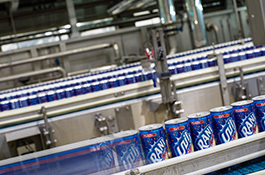 Aujan Coca-Cola Beverages Company (ACCBC) is the authorised manufacturer and distributor of Rani and Barbican brands and the licensed manufacturer in the Middle East for VIMTO. In 2014, ACCBC acquired a majority stake in the National Beverage Company S.A.L. (NBC), becoming the manufacturer and distributor of Coca-Cola, Pampa, and several other brands in Lebanon. ACCBC and Rani Refreshments, the global trademark owner of Rani and Barbican, were established in 2012 following the successful establishment of a partnership between The Coca-Cola Company and Aujan Industries. ACCBC owns three manufacturing facilities located in Dammam, Saudi Arabia; Dubai, UAE and Beirut, Lebanon. In 2014, the company announced plans to build a new manufacturing facility in Cairo, Egypt. © 2017 Aujan Group Holding. All Rights Reserved.